MTS Fibromat (M) Sdn Bhd is the pioneer is the Erosion Control Product and Geosynthetic Product Supplier, Manufacturer and Installer in Malaysia and Asia. 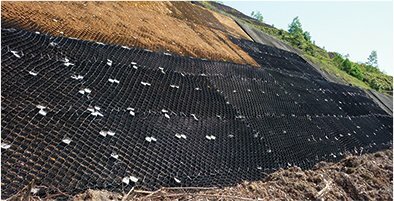 Fibromat is the pioneer in manufacturing erosion control products engineered for Erosion Control and Protection applications on slopes, river banks, embankments and many etc, such as Slope Stabilization, Coastline Protection & Erosion Control, Embankment Protection and many more. 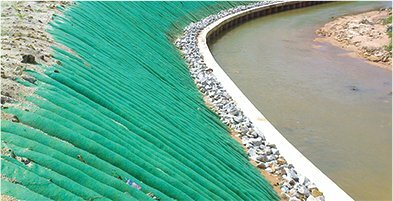 Combining 29 years of market existence and experience, Fibromat has also expanded its Erosion Control product range, including geosynthetics, to provide a complete solution for clients. Ever since the increased of product range, Fibromat has expanded its production to cover wider Soil Stabilization & Erosion Control and Ground Reinforcement applications. Owing to its uncompromised tested quality and proven performance, Fibromat products, have been widely accepted by local and many international markets. Today, MTS Fibromat (M) Sdn Bhd has evolved from Erosion Control and Geosynthetic Product Supplier into a one-stop centre, manufacturing and supplying quality products, providing design consultation as well as installation service to various industries and markets. With its sophisticated technology and promising results, Fivromat Erosion Control Products have been vastly used in Malaysia with export markets of more than 17 countries. © Copyright 2016 Fibromat (M) Sdn Bhd. All rights reserved.